Matt Christianer set the stage yesterday in Part I for having a set of python-like arms and a ripped midsection: track your macros, get your nutrition straight, set your priorities and be consistent with your eating and training if you want to see results. 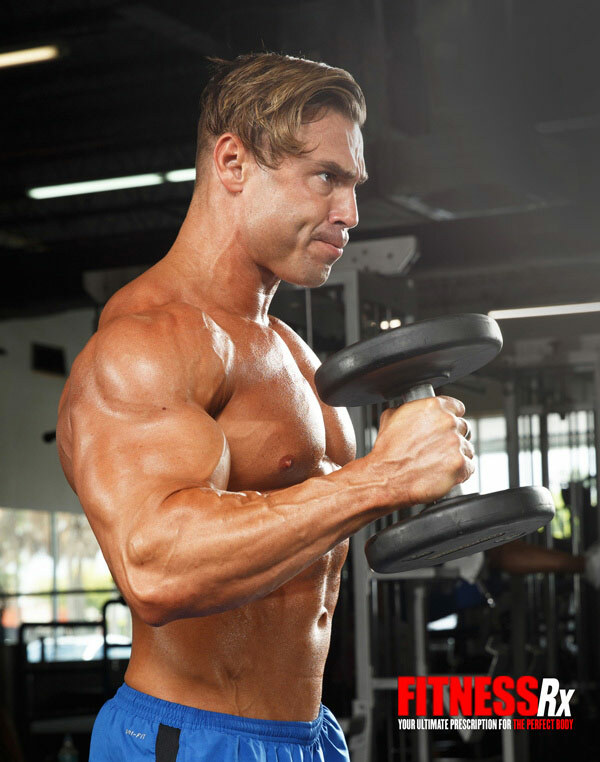 Now that you are “armed for battle” with the knowledge of what is required to get the job done, let’s take a look at the arm and ab workout that the first IFBB Men’s Physique pro uses to keep himself ripped and ready. Triceps Rope Pushdowns – 5 sets x 12-15 reps. Great warm-up exercise! Matt’s Tip: Huge stretch with these, and breathe all your air out as you crunch. Matt’s Tip: Advanced trainers can use a dumbbell between their feet. Matt’s Tip: These are all in the stretch and breathing as well, and a great way to shred your obliques! Look for Matt’s “Epic Arms and Ripped Abs Workout” on Friday.